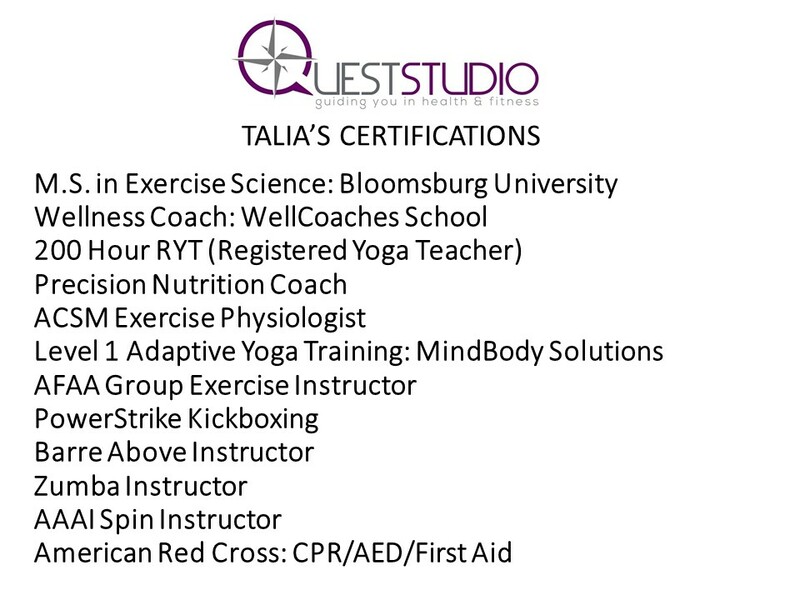 Over the past decade, Talia’s passion in preventative healthcare has motivated her to work with an array of different populations including: cardiac rehab, gastric bypass, pediatric weight management, group exercise, personal training, posture rehab, yoga, wellness coaching, corporate fitness, athletes, supplementation, veterans and much more! She strives daily to take hers and others health and fitness to the next level. 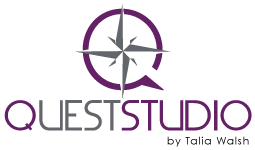 She can’t be more excited for Quest Studio to be a home for you to start your journey toward better health and be able to offer you multiple solutions to guide you in reaching your goals. “It’s not how much we give but how much love we put into giving,” and there are endless opportunities available to give back in our community. 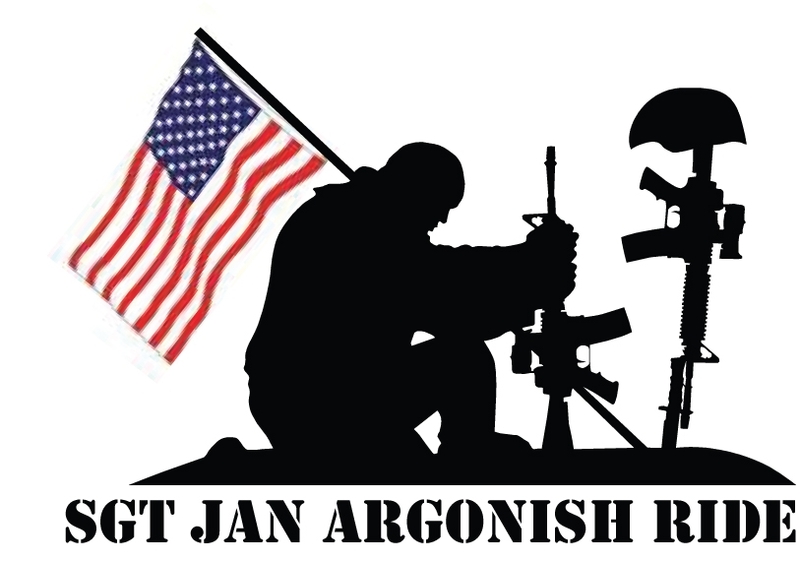 Talia volunteers with many different causes in the area, but has a special place in her heart and has focused her extra time and energy specifically with veteran support in our area, working with injured veterans, and veterans organizations who support those in need, including The SGT Jan Argonish Ride, in honor of her late fiance KIA in Afghanistan in August 2007. Connect with Talia to learn more on how to get involved. Talia has loved music and began playing violin and singing at age 7. She performed as lead singer with local bands including, Tin Pan Alley, Daddy-O & the Sax Maniax, Take 5, Electric City Groove, and Essence and continues to sing for worship at her church, weddings and special events. She released her first CD, This Year, in December 2018, an album of original songs that are filled with inspiration for the holiday season and throughout the year! Listen and get your copy today! If you’re interested to have her sing or play violin for your wedding or event, contact her today for availability and rates.